We’ve just finished developing, installing and customising a multi-device responsive Learning Management System (LMS) for Cubiks – an award-winning international assessment and development consultancy. 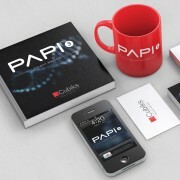 PAPI (Personality and Preference Inventory) 3 is an online personality questionnaire grounded in the science of psychology that can easily be assimilated into, and improve each organisation’s, human resources practices. We worked with the influential Independent Academic Research Studies (IARS) think tank on their 99% Campaign digital platform. We consulted, advised and built the digital technology at the heart of their website. This enables them to provide young people with a virtual arena within which they can share their stories, experiences and the issues that affect their daily lives. Real e-Learning is delighted to be working with the international think-tank, Independent Academic Research Studies (IARS), to develop online training materials for the Restorative Justice in Europe project. The materials will support professionals, victims and other users of the criminal justice system and form part of a Europe-wide research project to facilitate the implementation of the new European Directive on Victims’ Rights. Real E-learning is developing an online course about Lean Thinking for Sandwell Council that will be available to over 5000 members of staff at the council. The training solution empowers Sandwell employees to maximise productivity and minimise waste. The online materials help improve employee job satisfaction and motivation through the application of Lean Thinking. 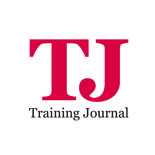 Real E-learning is delighted to announce that we have been shortlisted for the Training Journal Awards 2012 in the category of “Best use of technology in learning” for the work we did for the Teaching Agency. The awards recognise excellence, best practice and innovation in training, learning & development in the UK, so to be in the final six is testament to the quality and impact of the materials. 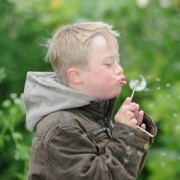 Real E-learning is delighted to say that the training materials for teachers of children with severe, profound and complex learning difficulties have been launched. Real E-learning and The School Network are able to provide consultancy or additional training to help you make the best use of these unique materials. Real Group has teamed up with Professor Richard Majors to develop an online tool for the assessment of emotional literacy of teachers. Richard Majors is a professor at the centre for emotional literacy at the City of Wolverhampton College. Real Training is now working in partnership with Communicate-Ed to deliver online courses for education professionals working in the area of special needs. 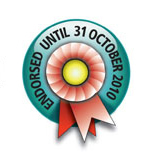 For nearly a decade Communicate-ed has been running courses across the country. Many of their delegates kept telling Communicate-ed that it is increasingly difficult for busy professionals to take the opportunity to attend courses ‘off-site’. 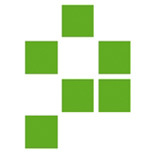 Real Training has just completed a further large-scale e-learning project for Pearson Assessment. 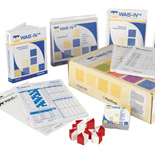 The training includes modules for the new WAIS-IV and WMS-IV assessment packages. In recognition of emerging demographic and clinical trends, the WAIS-IVUK and WMS-IVUK was developed to provide psychologists with the most advanced measure of cognitive ability and results that they can trust when addressing the changing clinical landscape. The Pearson CAT-O Training that was developed as an e-learning course by Real Training has been officially endorsed by the College of Occupational Therapists. Overall the assessors stated that the online training tool is a good way of delivering training in the current climate where many staff are unable to attend courses. The assessors also commented that having access to the training and support for a period of 2 years will reinforce learning. This is a well presented programme and whilst it does not carry recognised academic credits it will be valuable to practice staff working with complex clients in a variety of settings.